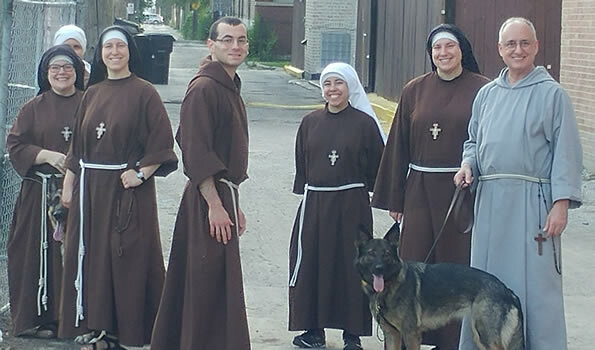 Mission of Our Lady of the Angels has begun the process of renovating Our Lady of the Angels School to expand its outreach to the neighborhood! Donate to the school project HERE. The project is just beginning and we will need EVERYONE'S help to make this project happen! The Tuesday pantry continues to grow and improve! Here are some highlights from last Tuesday. 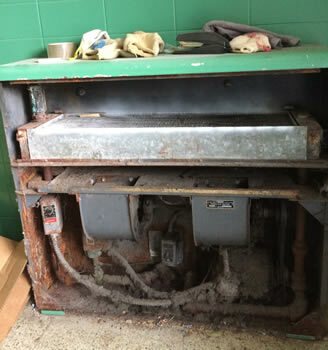 This week we also officially disconnected the school boiler from any heat as we get ready to start installing the new boiler very soon! Here is the moment of disconnection. We had a huge group of general managers from Marriot come to help us demo, clean, and organize in the school! Thank you for helping us make some major progress! 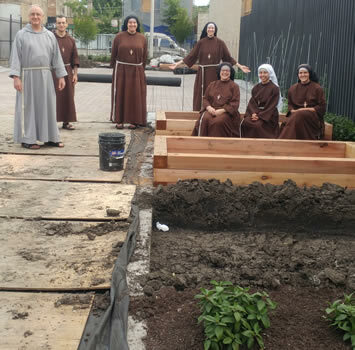 The landscaping outside the Mission got a major upgrade this week! Thank you C Thomas Company for donating the trees and awesome landscapers to put them in. 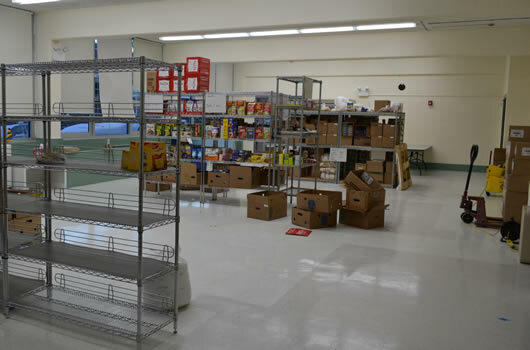 The new food pantry continues to expand rapidly! Our 24x12 foot walk in fridge was FILLED for the first time this weekend. Check it out. Keep filling it up everyone! 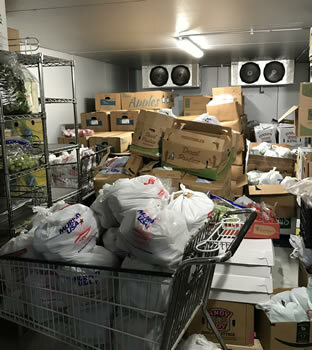 We also need more help packing produce and prepping for the pantry. If anyone would like to help with the pantry/ pantry prep, please e-mail HERE. This project is really going now! 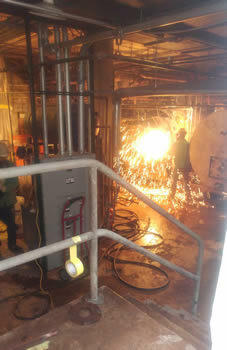 Check out these pictures from the boiler demolition. 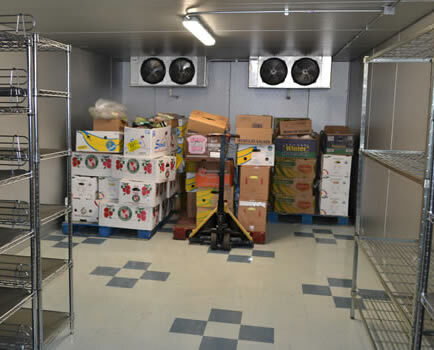 The new food pantry was featured on NBC! Check it out HERE. 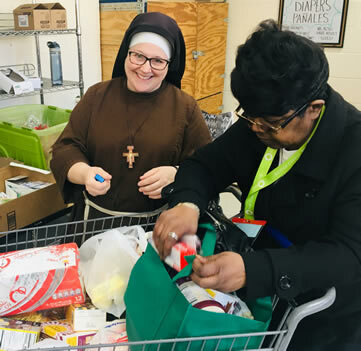 The Tuesday food pantry is really working smoothly now! We’d love your help if you can come. 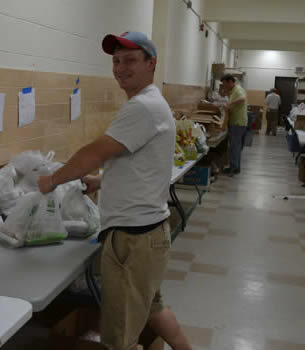 Tuesdays from 7:45 to 12 pm at OLA School- 3814 W. Iowa St. Let us know if you can volunteer HERE. Building permits should be finalized and re-submitted (and hopefully approved) this week! 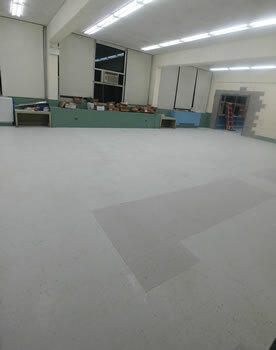 We are continuing to paint and prep for the work that will start as soon as we get the permits. 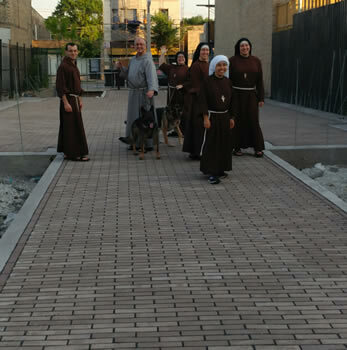 Please pray that the permits move through the city system quickly this week! 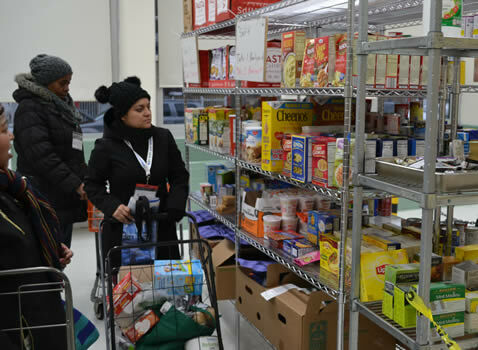 We opened the new pantry on 1/22! Check out the highlights HERE. Our new walk in fridge and freezer are fully functional! They are each 12 ft x 24 ft. Our new pantry is almost set up & is opening on Tuesday 1/22. Join us for the Tuesday pantry sometime! 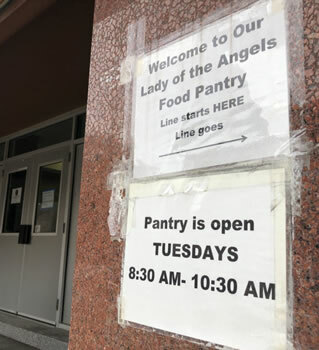 Details about volunteering at the Tuesday pantry HERE. Big week in the school! 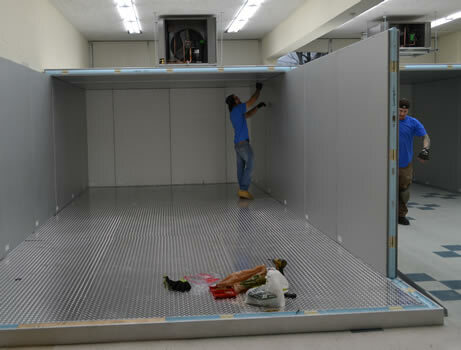 The walk in fridge and freezer were installed. Walk in fridge is current ON and holding temperature! 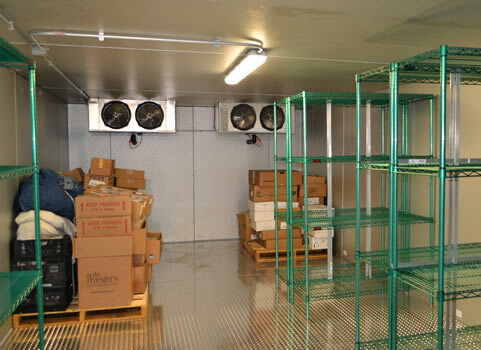 The walk in freezer should be working on Tuesday Jan. 15. We also painted the pantry. Thanks UW-Madison for your full weekend in the pantry taking care of this job! Pantry still opening on 1/22/19. We have been prepping for the big pantry move! The walk in fridge and freezer are coming this week. Here is a picture of the new pantry storage room as of 1/5/19. Now that Advent is over - we’re ready to get our chocolate calendars out for the WALK IN FRIDGE/ FREEZER COUNT DOWN! Delivery on 1/7/19. The new pantry will be incredible. 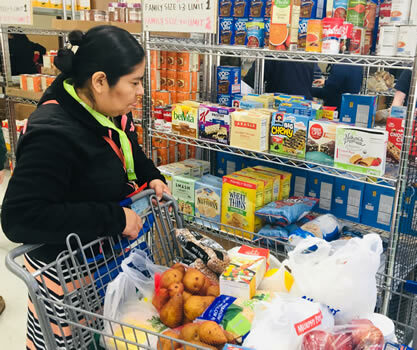 Check out this blog post from the Greater Chicago Food Depository highlighting the new pantry HERE. 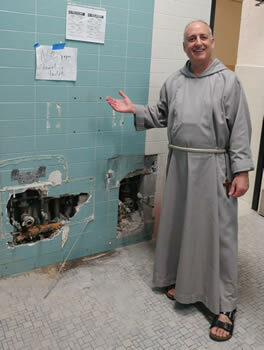 We have new tile in the future pantry space! More tile will be laid this week. Floors gone, lockers gone, steps jackhammered!!! 1st floor demolition is OVER! Time to rebuild…. look for exciting updates soon. 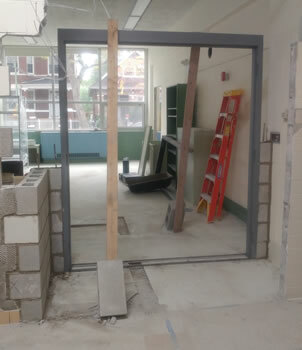 Our future pantry is looking better (see hallway/ doorway picture)- lots of work to be done in the next few weeks! 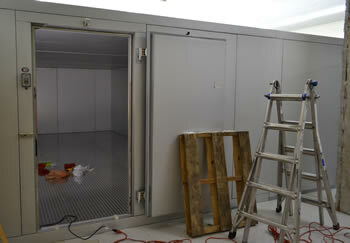 We ordered the walk-in fridge / freezer this week as well as preparing for the next steps. There should be major movement on the project by Christmas! We are back! Wall repair and door instillation on the new pantry started this past week. The many administrative hurdles we have been jumping through remain!! Please pray that all of our paperwork moves quickly through the various systems it needs to travel through so we can get the first floor improvements going. 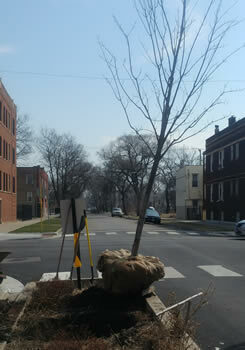 The lots at 3800 W. Chicago Ave now have their flower boxes and new plants! We are excited to have full uses of these spaces starting next spring. 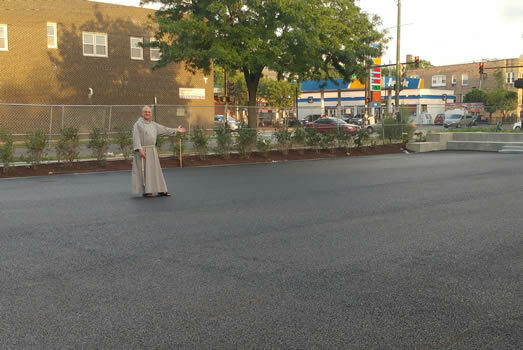 Our new basketball/ parking/ garden area was paved this week! Thank you to the City of Chicago and all who made this possible. More updates on the use of this lot very soon! 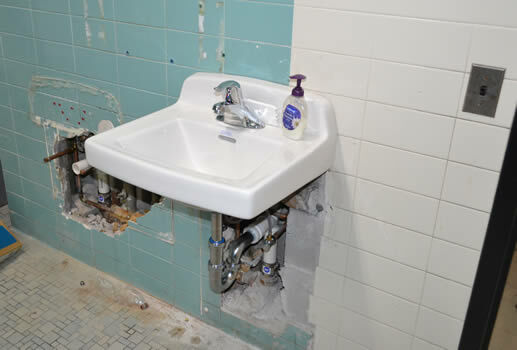 We are very grateful for the donated plumbing supplies and labor that have been donated to work on the 1st and 2nd floor bathrooms. We are excited about our highly functional sinks and toilets! 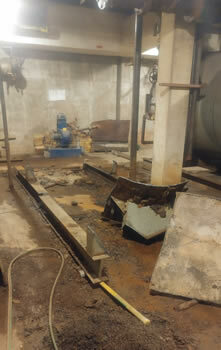 We continue to discuss and experiment with possibilities for the replacement/ upgrade of our HVAC system. 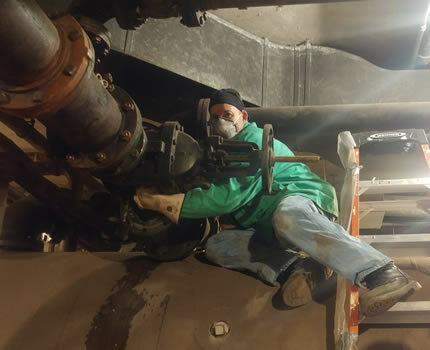 One of the definite costs is going to be the replacement of most (if not all) of our unit ventilators (special radiators). It’s going to cost about $2000 a vent. There are about 50 vents in the school! Continue to pray for the project. God is very much providing the people we need to continue moving forward. 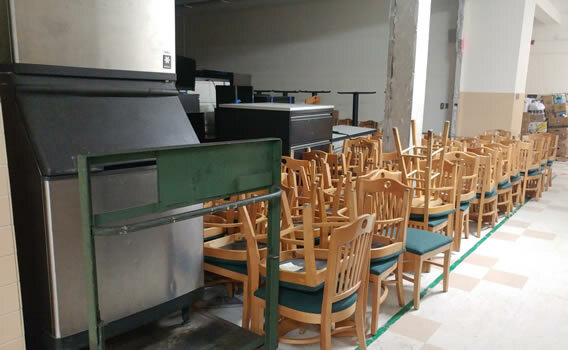 We picked up several truckloads of donations from Tribune Tower this week including kitchen equipment and tables and chairs. 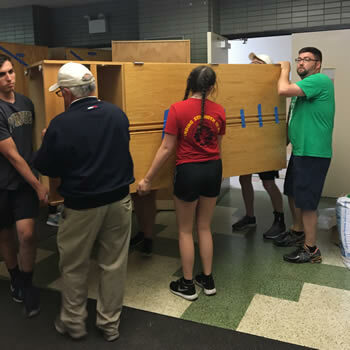 Thanks to the Tribune and all who helped with the move! 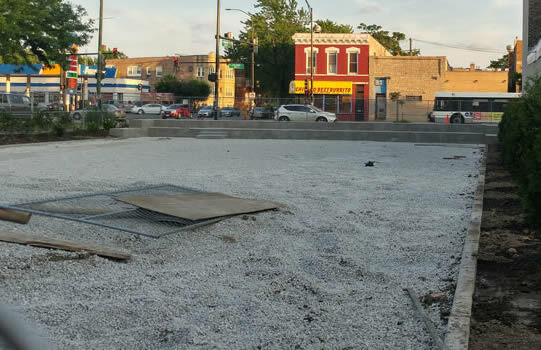 As work continues in the school, we are very excited to let you know that significant work continues to be done on 3800 W. Chicago Ave! This space will be a parking lot/ basketball courts/ garden space. 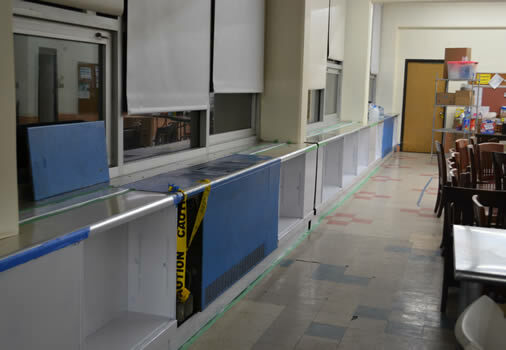 Check out the latest pictures! 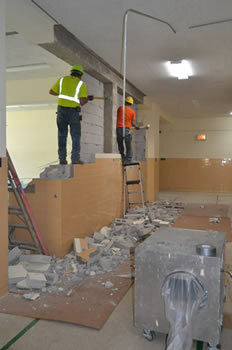 Very busy week for the school construction project! 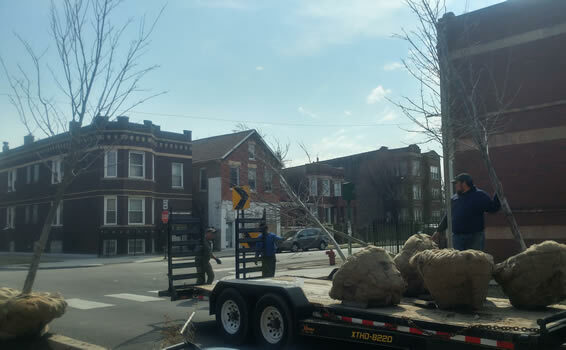 First floor demo is complete, we moved 9 UHauls worth of furniture from DePaul University and 680 N. Lake Shore Dr. to the Mission, first + second floor bathroom repairs started, and we received monetary commitments from several sources for the kitchen. Keep up the prayers, networking, and generosity!! We are very grateful. 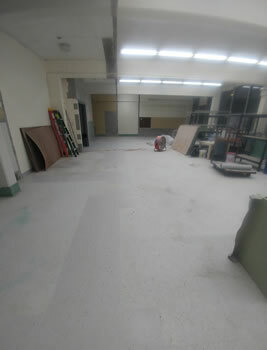 We started the demo on the first floor of the school last week! It will be completed this week. 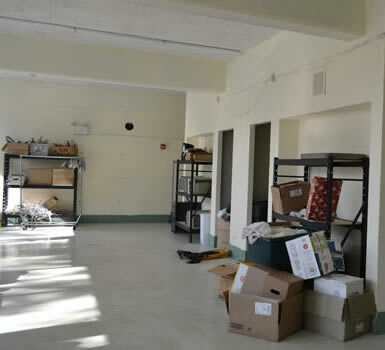 This demo is making space for our new food pantry space, our new walk in fridge and freezer, and our new donation space. The first of MANY before and after pictures! 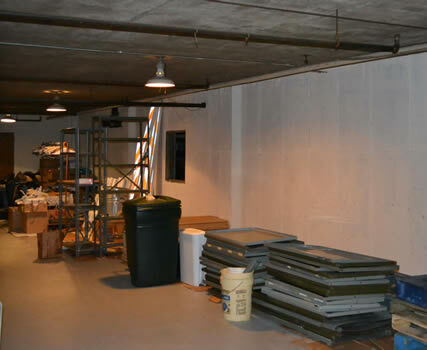 This week we got the basement storage room painted. 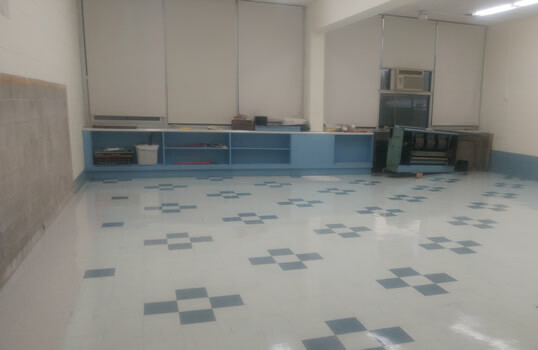 We then moved all of the stuff that needed to be moved for the demolition into the room. Get excited for some demo pictures next week! We have a tentative kick off date for the project! 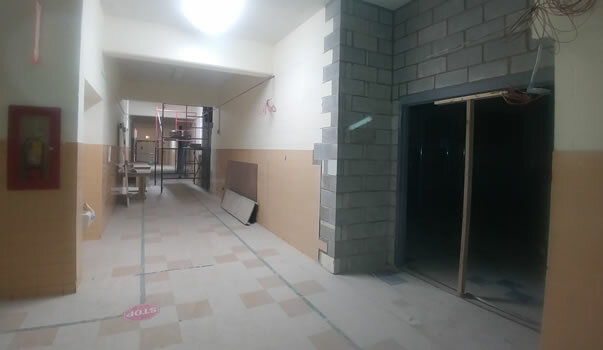 June 16 should be the start of the demo on the first floor of the building. 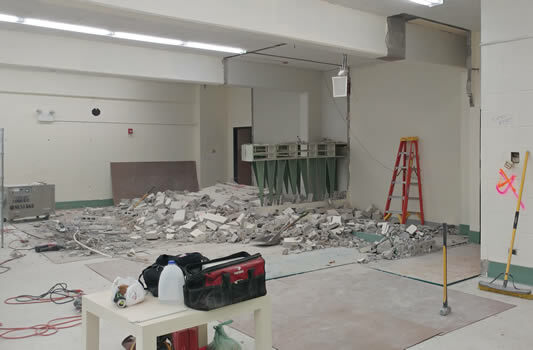 We will be knocking down walls to make room for the new space for our food pantry, giant walk in fridge/ freezer, and donation space. We currently are running most of our food pantry in the hallways of the school building. 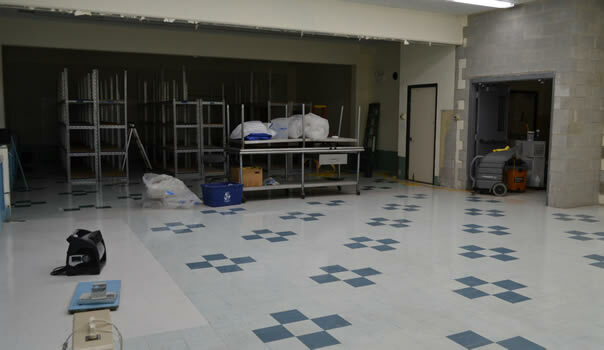 We are really looking forward to having a designated room for the pantry. 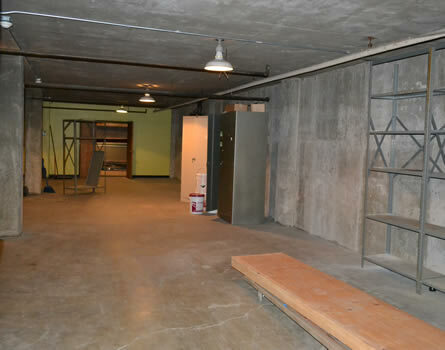 Check out some pictures below of the current pantry. We are serving about 140 families a week! That is more than DOUBLE what we were doing at this time last year. 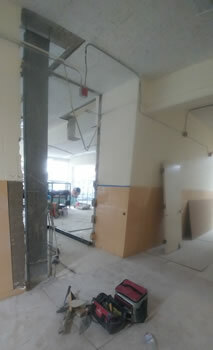 Despite the lack of updates, there has been a LOT of background work going on to prep for the school construction project. We are finally ready to actually start doing something in the next few weeks. Roof- The school still has the ORIGINAL 1959 roof. It is a minor miracle there is not more leaking. 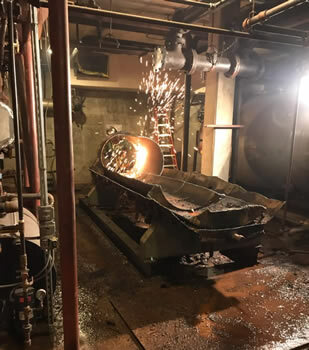 Even with some VERY generous donations of material and labor, it will cost about $90,000 to replace the roof. See pictures of our lovely tar roof. 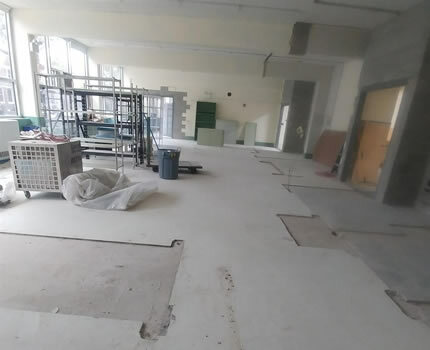 1st floor demo- We will be knocking down walls on the first floor of the school to make room for our new food pantry space, donation space, and HUGE walk in fridge/ freezer. More on the demo project in future updates. 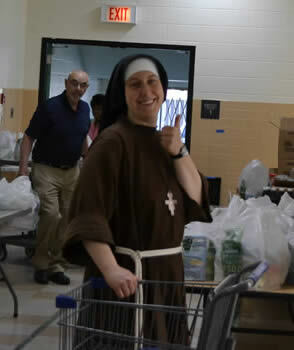 We were very blessed to receive a surprise call from our new friends from Morton, IL who work with Midwest Food Bank! 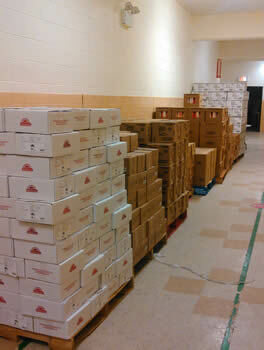 They dropped off 12 pallets of food & even assembly lined it into the building for us. We would have NEVER been able to receive this donation without the school building! 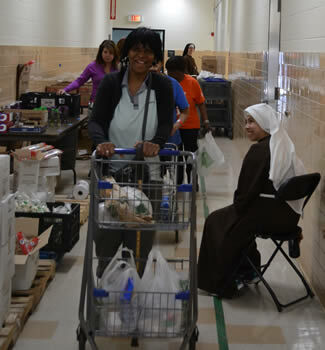 The Tuesday pantry moved to the school building in August. We now serve DOUBLE the people we used to every single month at the Tuesday pantry. Learn more about the future of the Tuesday pantry HERE. 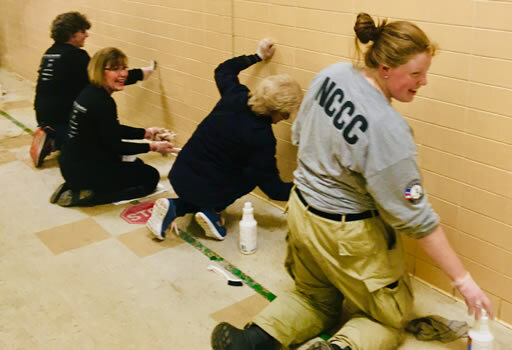 Home Depot started this project with a bang by granting the Mission at $25,000 grant and providing ~150 employees to repaint the entire school in 1 day! Here are some highlight pictures and the news story from Telemundo from that day. More pictures of Home Depot volunteers HERE.